In Florida, voter pre-registration is open to both 16 and 17-year-olds, which means their private information like phone numbers, addresses, and birth dates is public record. Two Florida lawmakers are trying to change that. In advance of the legislative session scheduled for March 5, Sen. Tom Lee, R-Thonotosassa, and Rep. Cyndi Stevenson, R-St. Johns, presented companion bills (HB 281 and SB 342). Both bills present measures that would restrict the publication of the personal information of underage voters. Stevenson told WJCT in Jacksonville that her bill is a matter of safety. Frank LoMonte, Director of the Brechner Center for Freedom of Information at the University of Florida, thinks the restriction of this information could create accessibility issues. LoMonte also questioned whether or not another restriction is necessary. Rep. Cyndi Stevenson debates on the House floor on April 25, 2017. 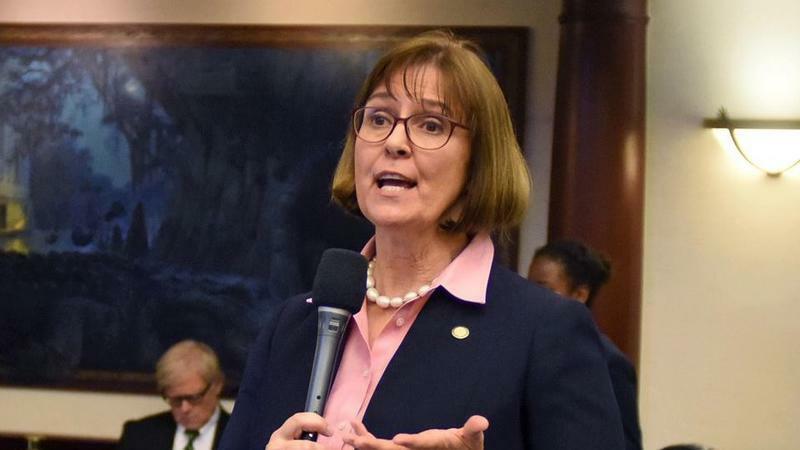 Should the bill pass, Stevenson stated she will try to extend these privacy restrictions to all Floridians. LoMonte cautioned lawmakers to consider whether or not an actual danger is posed or if the issue is an abstract concern. Additional information courtesy of WJCT Public Media in Jacksonville and The News Service of Florida. The Republican Party of Florida has elected a new leader. State Sen. Joe Gruters of Sarasota was chosen to lead the state GOP at the party's annual meeting in Orlando Saturday.